START COLLEGE A YEAR EARLY*. If you are a high school junior eager to complete your college career early, Johnson & Wales University can help you jumpstart your future plans. 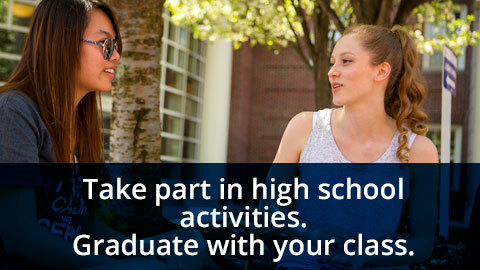 With the Early Enrollment Plan, you can begin earning credits for college your senior year of high school. EEP students are eligible for reduced tuition, housing in our residence halls and JWU scholarships. 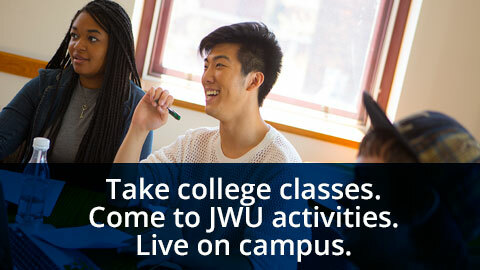 Earn enough credits, and you could even graduate JWU a year ahead of schedule! Junior year of high school: You’ll apply for early enrollment to JWU. Senior year: You’ll start at JWU, and complete your senior year of high school, while still having the opportunity to participate in your high school activities. *Program available in Providence, North Miami, Denver, Charlotte. 1. Submit the Undergraduate Application, and indicate your program choice. 2. Submit the EEP Agreement Form. 3. If you qualify, Admissions will contact you to schedule your mandatory EEP interview. Important financial information for EEP students can be found in the Tuition and Fees section of the JWU Charlotte Catalog. EEP students are not eligible for federal aid during their first year – and do not need to file a Free Application for Federal Student Aid (FAFSA) for that year.